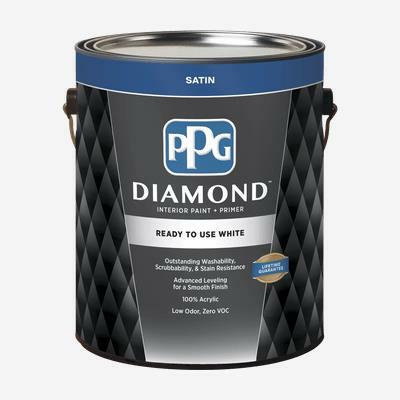 The improved DIAMOND™ Interior 100% Acrylic Paint + Primer provides exceptional durability and hide and outstanding stain resistance all in a smooth finish. And now with the convenient DIAMOND™ Interior Ready to Use product you can achieve a beautiful color while protecting and beautifying any room in your home. All backed by a Lifetime Guarantee.